Everybody who has started using Docker with Dynamics NAV and Business Central has seen their disk space vanishing over time. Thankfully, there is a simple way to clean and reclaim your disk. 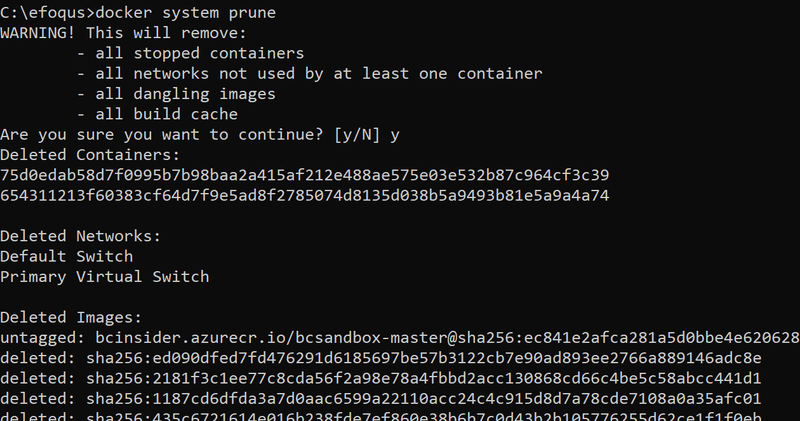 The way I do this, is to start the containers I need and then run the command. As you can see, I just ran it, and reclaimed 60 GB of disk space. DISCLAIMER: Don’t blame when you’re deleting something important!